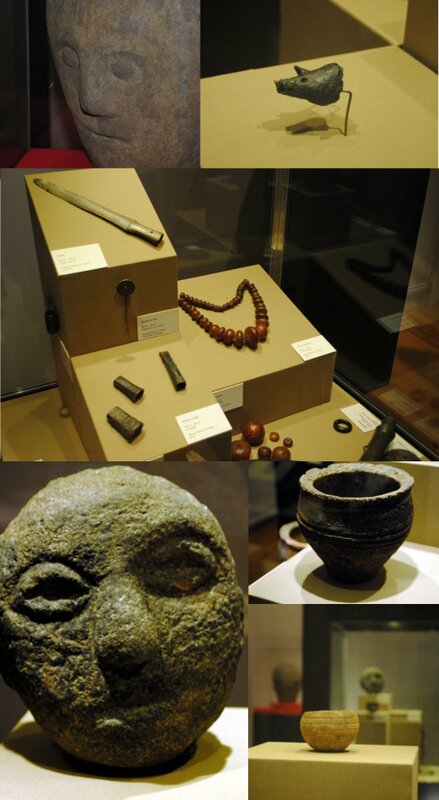 Most of the material in this gallery was donated to Cavan County Museum by the National Museum in Dublin, and the material in it ranges from flint flakes dating from 5500 BC to spear heads, axe heads and food vessels dating from 2000 BC. These artefacts, the oldest and most precious in the museum, are housed in the archaeology gallery. The various artefacts in this gallery, evidence of occupation by prehistoric and Celtic peoples, display the culture of some of the earliest settlers in Ireland, both in times of war and peace. The star attractions in this gallery are the hoard of three bronze trumpets which date from 900 - 500 B, and an amber necklace whichdates from the same period.